Hi, worker! Do you go out for lunch? If you do, you will be familiar with the crowds and the queuing involved when you try to grab a bite around midday. Recent studies claim that we are spending around 24 minutes a day just waiting to order and grab our lunch. If you are wondering how much that is, brace yourself: 104 hours per year!! If queueing up for lunch is "not your jam" (pun intended), and cooking your own meal the day before also doesn't sound like the ideal solution, then there might be better options. We tried three popular meal subscriptions and services in Singapore that will help you avoid the lunch crowds and still get a delicious meal. 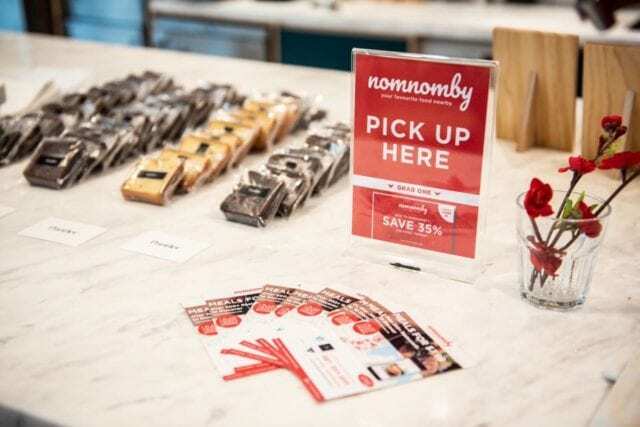 Nomnomby is the newer player in town among the meal subscription services. The service is catered to the working crowd and offers subscriptions of 6, 12 or 20 meals per month. With Nomnomby, you pay a fixed price for your meals. The meals are only available on weekdays (no ordering on weekends or public holidays) and they are sourced from over 200 different restaurants around Singapore. You choose your preferred subscription package. All Nomnomby meal plans renew automatically after your 30-day subscription cycle or upon consumption of all meal credits, whichever that comes first. If you don't use all your meal credits within the 30-day cycle, you can use them on your next month subscription. You won't lose any meals. The service allows you to change your order as long as you do it before 10 am (for lunch) and/or before 3:30pm (for dinner). You head to the restaurant at lunchtime and pick up your order directly. No queues and no waiting for food to be ready. 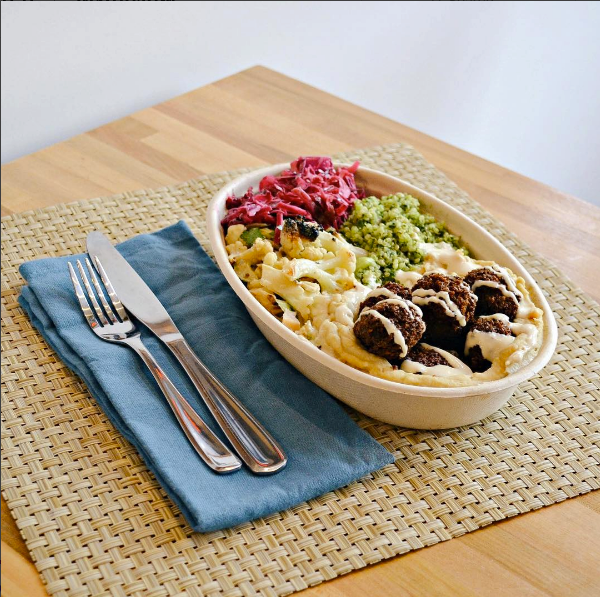 You can also order dinner or share your plan with a friend by order 2 meals. The restaurants available really depend on your location. If you work right smack in the city centre, all good. Other areas might not have that many restaurant choices. Most restaurants/meals on offer can be considered healthy. You will find restaurants such as Pimp My Salad, Wafuken and Makai Poke. Nomnomby doesn't have a mobile application, so you have to make your bookings on a browser. Remember that when you go pick up your food. You want to pay less for food on some of the favourite restaurants in CBD: you will be paying $8.99 per meal for options that usually cost $11 to $13. You don't have any food restrictions and don't mind repeating some dishes along the month. Order as you would do usually on Foodpanda. There is no minimum order value, delivery and restriction by delivery zone. Prices vary depending on the meal your order. If there are cheaper meals available next to you, then great. Because you are picking up the meals yourself, there's no delivery charge. You save there. Foodpanda promises a 15-minute window from pre-order to collection. Foodpanda offers a larger variety of restaurants and meals to choose from so there is no risk of repeating lunches. This is also a good option to try new restaurants nearby that you usually won't go to because they are busy during lunch. MealPal is also a well-known brand on the meal subscriptions space. The subscription model is very similar to Nomnomby's. You select your desired meal from 5 pm to 10.30 am. In case you want to change a meal, you can do so before 9.30 am without extra cost. At the indicated collection time, go down to the restaurant and get your food. Food options include healthier dishes and salads that usually cost more than $8.99. They serve lunch and dinner but you can only reserve 1 dish per meal per day. Most restaurants choices are located in the city centre, but there are also options around Buona Vista/One-North and Novena. Check the available restaurants here. Meal Pal has an app (IOS and Android): Once at the restaurant, scan the QR code and show the restaurant your confirmation screen. This screen will expire after 3 minutes, so make sure to scan the QR code just before displaying the restaurant your confirmation. Going on vacation? No worries, Meal Pal allows you to put your account on hold for up to three months. Meals are fixed per restaurant so you might end up eating the same thing often. For users - allows you to save time by eliminating the queuing, and you don't have to worry about having a table available at the restaurant at the time you need it. For restaurants - by receiving a bulk of orders in advance, they can manage orders more efficiently and even increase the number of people they serve per day. If you hate queuing for food and want to avoid the crowded restaurants and food centres, then, by all means, these options fit the bill. You can dabao your lunch and it at the office pantry. 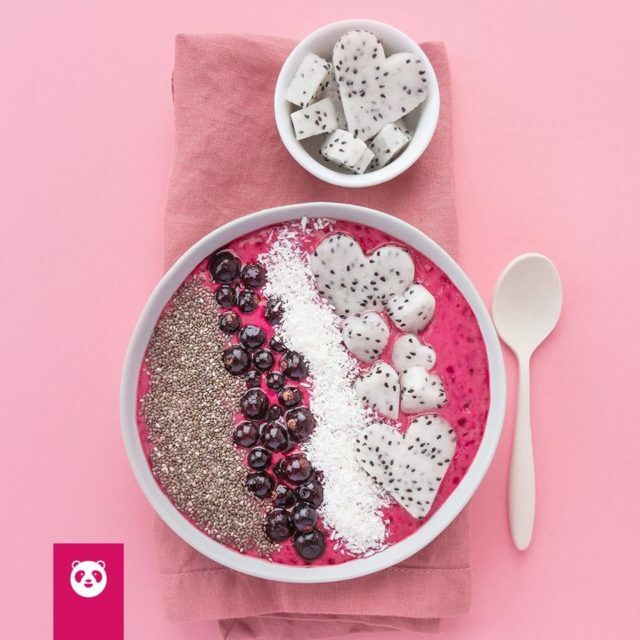 If you want to eat clean and healthy, these services offer plenty of options in that range. Plus, you get to walk a bit before your lunch to stretch those legs and grow some more appetite. These food services may not be the cheapest options depending on your eating habits. We are all aware that are cheaper options available: cooking your own food and some Tingkat services, for example. But these meal subscription services do offer greater convenience. *Disclaimer: There are more food services available in Singapore. For this article, we chose to analyse 3 of the popular options.